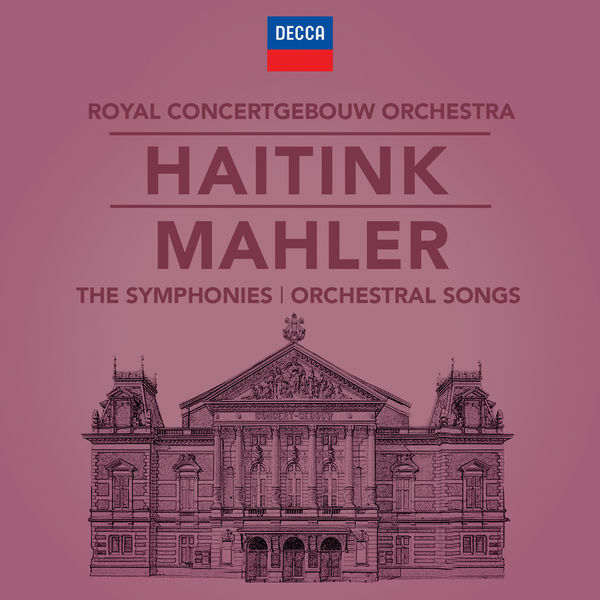 Haitink’s Mahler interpretations offer a combination of objectivity and distance, emotional reflection and release, continuity and tradition. 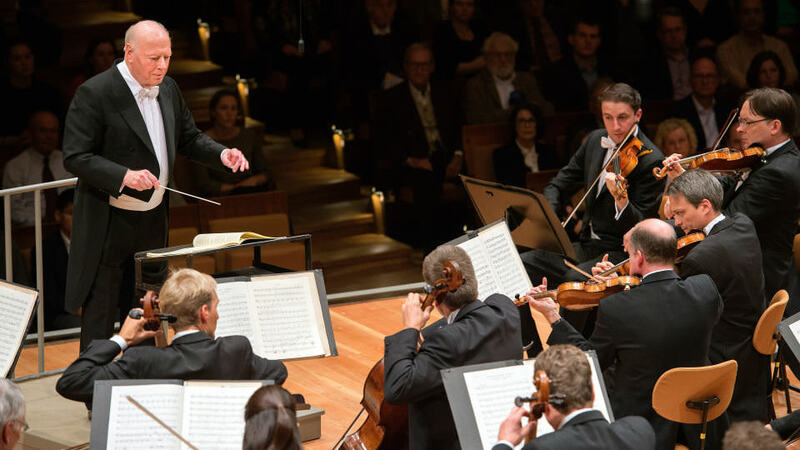 Under Haitink, the Concertgebouw secured its reputation as one of the world’s great Mahler orchestras and their cycle of the composer’s symphonies and orchestral songs stands as witness to the orchestra’s feeling for its deep history and to the enduring artistry of its conductor. In honour of Bernard Haitink’s 90th birthday this year, Decca presents one of the conductor’s most lauded and respected series of repertoire. 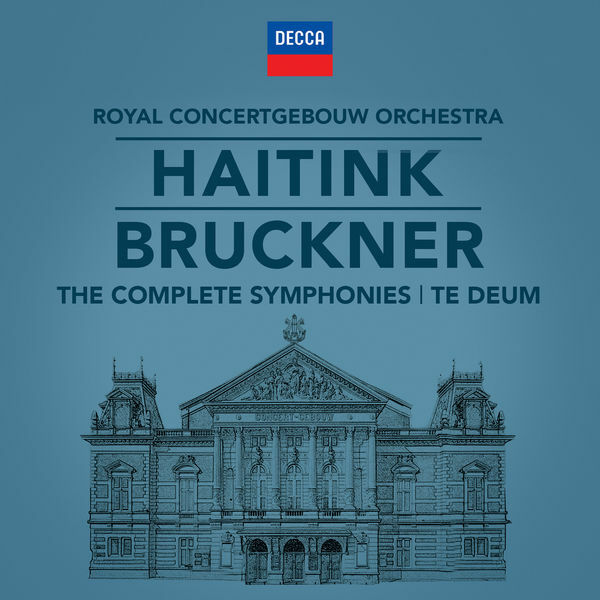 Bruckner’s symphonic cycle is played here by the Royal Concertgebouw Orchestra, recently voted by Gramophone Magazine as ‘The Greatest Orchestra in the World’. Bernard Haitink’s complete survey of the Bruckner symphonies set the standard for subsequent recordings of the repertoire whilst continuing a living tradition in Amsterdam. Beyond the work of an orchestra and conductor in a golden period, these iconic cycles owe much to the Amsterdam Concertgebouw itself – one of the great temples of culture – and further gained from the vision of Decca’s engineers who created a recorded sound of such striking depth, detail and realism. All these elements combined to attract countless new listeners to Bruckner’s music. 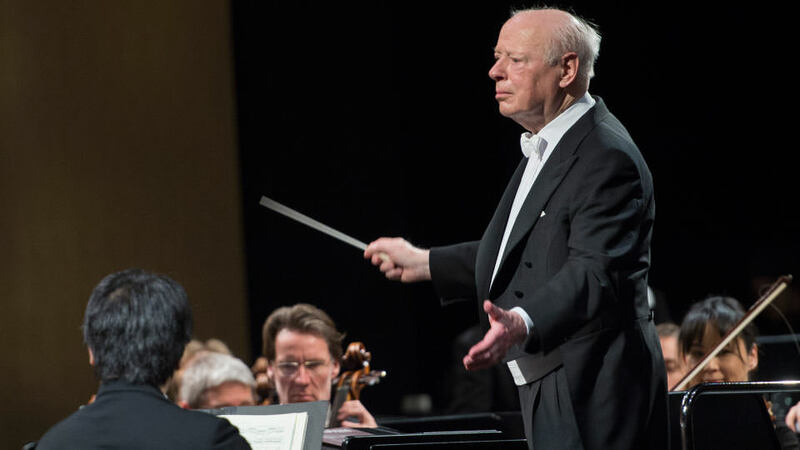 LSO Live celebrates the 90th birthday of one of the conducting world’s greats, Bernard Haitink. Few artists have a deeper understanding of the music of Beethoven than the celebrated Dutch conductor, who is known for his mastery of the great symphonic repertoire. 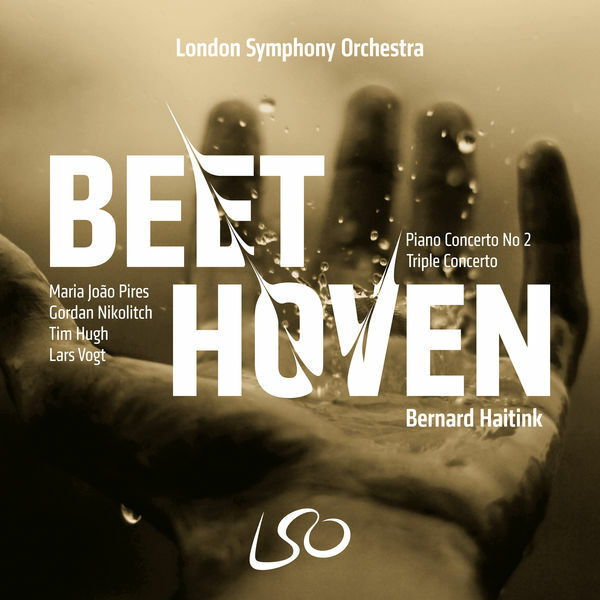 This album focuses on Haitink’s interpretations of Beethoven’s concerto writing, coupling a new recording of Piano Concerto No 2 by Maria João Pires with a virtuosic performance of the Triple Concerto by Lars Vogt, Gordan Nikolitch and Tim Hugh, which was originally made alongside Haitink’s now iconic cycle of the composer’s complete symphonies. Beginnings and endings – this could be the theme of this concert with Bernard Haitink: The 19-year-old Schubert’s B-flat major Symphony, composed in the autumn of 1816, belongs to his youthful symphonies in which the composer follows the traditional form model of Haydn and Mozart. The playful lightness of the themes, the cheerful dialogue between instrumental groups and the transparent orchestration clearly display a Mozartean character. But the often surprising harmonic progressions already reveal Schubert’s Romantic sound aesthetic. Shostakovich’s Symphony No. 15, the last written by the Russian composer, also comes across as light and cheerful. But this cheerfulness is only superficial. Shostakovich works with irony and ambiguity, uses musical quotes from his own works and from others’, such as Rossini’s William TellOverture and Wagner’s Die Walküre, and includes twelve-tone series that are not heard as such, all of which together create a musical picture puzzle, a subtle network of profound symbolic relationships. 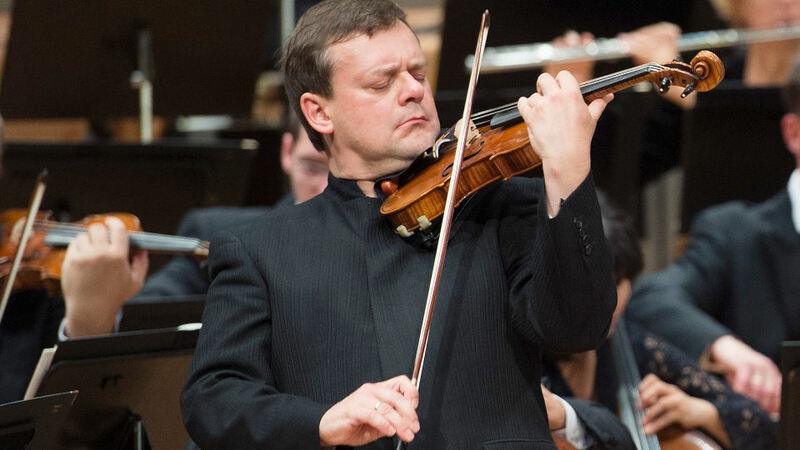 With this symphony – it is said – Shostakovich left behind his musical autobiography. The Berliner Philharmoniker dedicated this concert to Lorin Maazel who died on 31 July 2014 and who was originally to conduct the evening. When Bernard Haitink and Emanuel Ax appear together in a concert, the composers on the programme are (almost) a given: Wolfgang Amadeus Mozart and Anton Bruckner. The American pianist has been playing with the Berliner Philharmoniker for over 25 years, and he has repeatedly proven himself a specialist in the piano concerti of the First Viennese School, particularly Mozart’s. 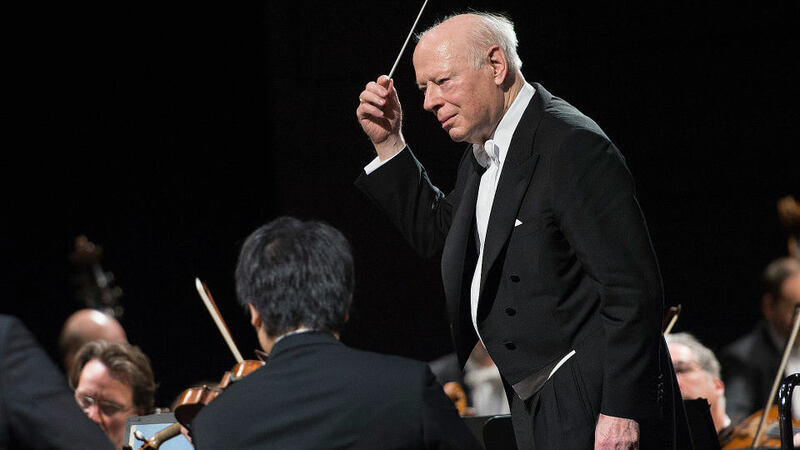 The Dutchman Bernard Haitink, guest conductor with the Philharmoniker since 1964, on the other hand, is one of the outstanding Bruckner interpreters of our time. The two artists gave a guest performance with the Berliner Philharmoniker once before in 2001 with just this line-up of composers. At the time the Berliner Morgenpost wrote about Emanuel Ax’s rendition of Mozart’s Piano Concerto in E flat major K. 449: “He considers it a privilege to serve Mozart. That pays off for both of them: the composer and his effortless interpreter.” This time Emanuel Ax plays another piano concerto in E-flat major, K. 271, which Mozart composed in 1777 for the pianist Louise Victoire Jenamy. With this virtuoso work, Jenamy, who was 21 at the time, proved herself a real master of the genre. Even the beginning in which the soloist and the orchestra immediately take up a lively dialogue is unusual and shows the composer’s individual creative drive. The evening’s second work is also in the key of E flat major: Anton Bruckner’s Fourth Symphony, which carries the epithet “Romantic” and is among the Austrian composer’s most-performed works. 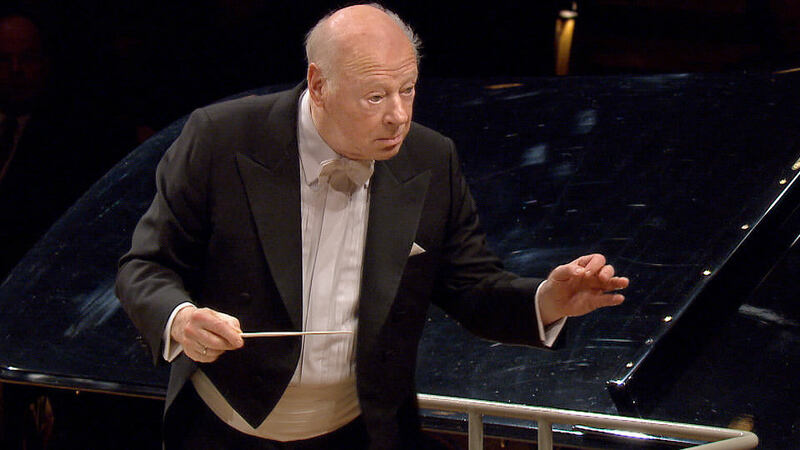 Bernard Haitink last conducted this piece with the Berliner Philharmoniker in 1996. “We heard richly differentiated symphonic art,” the critic of the Berliner Zeitung wrote. 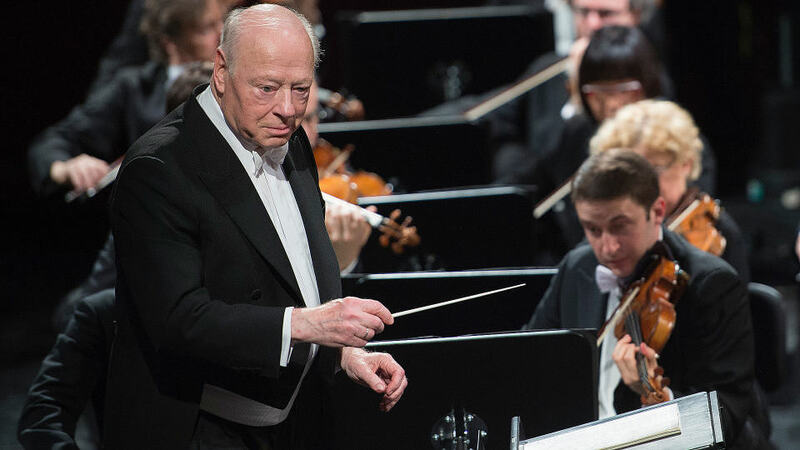 Over the years, Bernard Haitink has performed Bruckner’s symphonies with the Berliner Philharmoniker on many occasions. For this concert from 2011, the programme includes the Fifth. The work is not least a monument to Bruckner’s self-assurance, composed at a time when he saw almost all of his life’s plans come to nothing. He was denied recognition as a composer as well as a hoped-for professorship at the university in Vienna. Even his marriage plans remained unfulfilled. The appeal of the Fifth lies in its ingenious polyphony with which Bruckner wanted to persuade the last doubters of his abilities. Wonderfully floating, transcendental choral melodies form a counter-world to the bright construction. The message of the deeply religious Bruckner is clear: that there is something higher than all earthly endeavours.